1) Only buy or fill up your car or truck in the early morning when the ground temperature is still cold. Remember that all service stations have their storage tanks buried below ground. The colder the ground, the more dense the gasoline. When it gets warmer, gasoline expands, so buying in the afternoon or in the evening…your gallon is not exactly a gallon. In the petroleum business, the specific gravity and the temperature of the gasoline, diesel and jet fuel, ethanol and other petroleum products plays an important role. A 1-degree rise in temperature makes a big difference. The service stations do not have temperature compensation at the pumps as the distributors do. So make sure you only pump the gas when the temperature is low. 2) When you’re filling up, do not squeeze the trigger of the nozzle to a fast mode. If you look, you will see that the trigger has three (3) stages: low, middle, and high. In slow mode you would be pumping on low speed, thereby minimizing the vapors that are created while you are pumping. All hoses at the pump have a vapor return system. 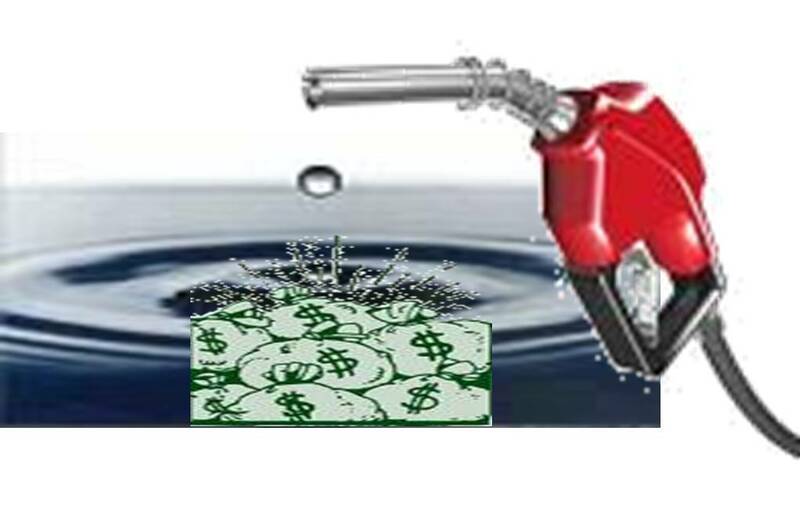 If you are pumping on the fast rate, more of the liquid that goes into your tank becomes vapor. Those vapors are sucked up and fed back into the underground storage tank, so you’re getting less gas for your money. 3) One of the most important tips is to fill up when your gas tank is HALF FULL (or HALF EMPTY). The reason for this is, the more gas you have in your tank, the less air there will be occupying the tank’s empty space. More air = more evaporation. Gasoline evaporates faster than you can imagine. Gasoline storage tanks have an internal floating roof. This roof serves to create zero clearance between the gas and the atmosphere, so as to minimize the evaporation of the fuel.4) Another reminder: If there is a gasoline truck pumping into the storage tanks when you stop to buy gas, DO NOT fill up–most likely the gasoline is being stirred up as the gas is being delivered, and you might pick up some of the dirt that normally settles to the bottom of the tank. Hope this will help you save a little when you pump those precious gas! This entry was posted in All Blogs, Going Green, Marin County, Marin Living Advise Tips and tagged drive, Efficient, Energy, gallon, Gas, green, Price, Saving, skyrocketing by Sylvia Barry. Bookmark the permalink.